Many men have claimed to be great martial artists and many men have claimed to be teaching killer survival techniques. 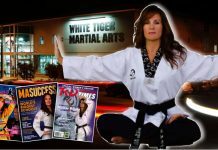 You can pick up most martial arts magazines or mix4ed martial arts periodicals and find a host of advertisers touting their brand of Marine, Navy-Seal, or some kind of Special Forces reality training. For the most part, it’s all just bunk. Most of these guys wouldn’t know a Special Forces personal if they kissed them on the mouth. Grand Master Reno Morales is the real deal. From the killings fields of Viet Nam to the mean streets of New York, Reno Morales has survived it all. Reno Morales began his martial arts training in the late 1940’s. He has black-belt ranking in a multiplicity of disciplines. He has become a walking lexicon of martial arts. Reno credits his instruction to Tatuso Shimibuku, Masatoshi Nakayama, Michio Hiikisutshi, Shigeru Kimura and Kanie Mabuni, to name a few. Born in Caguas, Puerto Rico, Reno Morals has over 60 years of teaching. 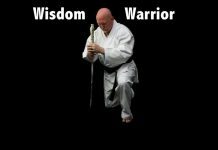 Oh, did I mention that his venerable warrior was born March 21st 1934. 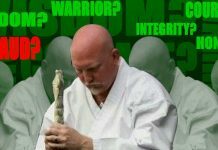 Do yourself a favor and look at his picture again, it’s true the Grand Master is 74 years old. Grand Master Morales is followed by several of his outstanding children in martial arts. His daughter the very popular and excellent warrior, Sensei Firefox. Senseni Firefox is as beautiful as she is deadly. Don’t get it twisted, she can still bring the love. The well respected Anthony Vargas his nephew is now making his name in the martial arts and his little, Ruben “The Rebel” Morales. Grand Master Reno Morales is truly the Patriarch that we can touch, long live Grand Master Reno Morales. Grand Master Reno Morales passed away on February 7, 2013.